Hey, remember that big shootout at the biker gang get together in Waco, Texas where nine homicides took place? Did we ever find out what happened there? You know, besides the fact that a judge declared a mistrial? How about the Pulse nightclub shooting? Did we ever find out what the timeline was and other important stuff like what went wrong and what went right? Considering the fact that it’s now 16 years after the Moscow theater hostage crisis that killed 170 hostages that seems like a good idea. But one thing’s for sure. 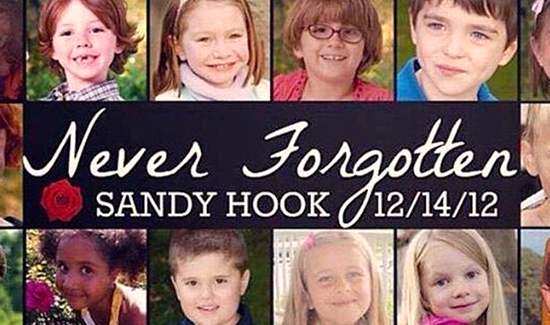 Five years after Sandy Hook there’s still no official report. These things are complicated and take time obviously. But it seems to some that it shouldn’t take longer than earning an undergraduate degree at college to generate a report about one of the worst mass shootings in American history. But hey, lots of people don’t even want to name mass killers like Timothy McVeigh and Adam Lanza. Maybe if we just try and forget about these incidents instead of trying to understand them the magic freedom fairy will make all the bad stuff go away. On the other hand, out of respect for the victims, their families and cops in the future responding to similar incidents, we might want to figure out what the hell happened. Read more about what we don’t know here.